For an app called ‘Shortcuts,’ too many features force you to take the long way to your destination. Remember Shortcuts? 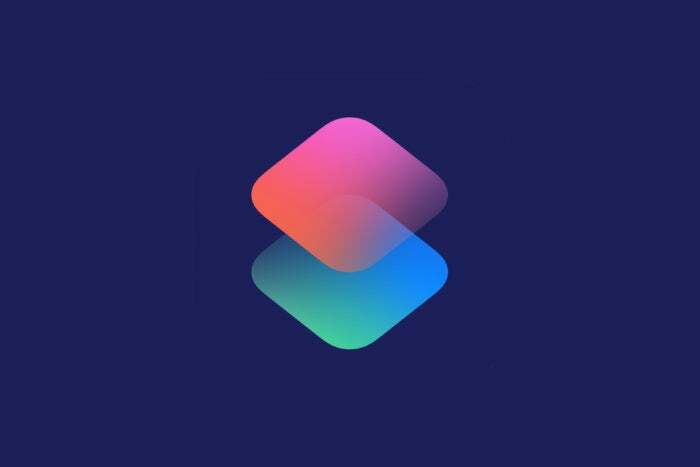 A mere seven months ago it seemed transformational and game-changing; an app boasting the power to strengthen Siri so it could hold its own against Alexa and Google Assistant. Nay, it would be better. Shortcuts would allow us to mold Siri to our needs; we could create automated actions that Apple itself may never dream of. It hasn’t quite worked out that way, even though the potential is still there. These days I struggle to find ordinary iPhone users who’ve even heard of Shortcuts. As for finding someone outside the Apple enthusiast press who uses a Shortcut on a daily basis? I might as well be looking for Amelia Earhart. The activity on forums focused on Shortcuts seems to dwindle by the day. It wouldn’t take much to brighten this sad state of affairs, particularly if Apple takes these steps to improving its Shortcuts app. Shortcuts biggest problem is that not enough people know about it. Apple may have touted it with the pomp of a full-on feature of iOS 12, but in practice you’ll never see it unless you dig for it in the App Store. Even then, it’s not entirely clear you’re looking at an Apple app as the icon’s design differs slightly from the theme used for everything from Pages to GarageBand. Simply including it as a pre-installed app would go a long way toward building awareness. If the user decides they don’t care for it (or that it’s hopelessly complex)? Allow them to delete it at will. Apple already includes 43 apps in a standard iOS 12 installation, and Shortcuts would be more essential than iTunes U or the Podcasts app. There are other ways of getting the word out, such as Apple’s famously creative and memorable TV ads. Sometimes the ads are works of art themselves, such as Spike Jonze’s 4-minute spot for the HomePod. Sometimes even spite gets people talking about Apple’s products, as we saw with the iPad and last year’s “What’s a computer?” spot. I don’t think it would take much to make a good ad showing how a young woman automates much of her life with Shortcuts, but we’ve seen nothing like it to date. At the very least, Apple could feature a few good Shortcuts in the App Store’s home screen. As things stand, you probably wouldn’t even know Shortcuts existed unless you carefully trawled through every entry on the iOS 12 feature list, and even then you might not fully gasp its importance. Ours is an age of upvotes and charts. Everything from Reddit to comment threads grant users the power to decide which content should reach the top. Even Apple understands the importance of popular opinion, as both the App Store and iTunes rely heavily on download and purchase rankings for determining an app’s importance. Amazon might be on to something here, y’all. Yes, curation can be wonderful. But I’d also like to see a list of trending and popular charts, as they’re better guages of how useful I’ll find these apps in my everyday list. 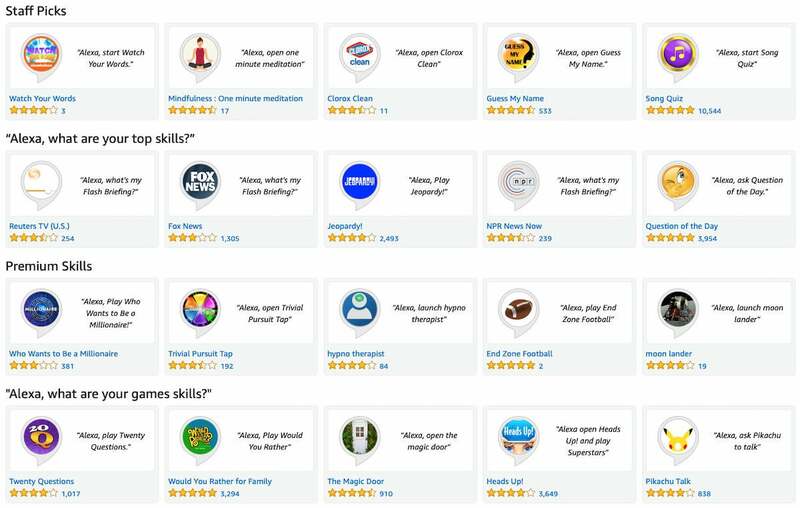 Amazon certainly understands this, as the second heading for Alexa’s “skills” is “Alexa, what are your top skills?” At the bottom of the list, you’ll find, “Alexa, what are your trending skills?” Say what you will about Amazon, it understands the importance of user opinion. In the case of Apple, we have to rely on what Apple tells us is the best. To get the best use out of such a system, Apple need to highlight user-made Shortcuts. Bluntly, the ones listed in the app’s gallery are painfully boring, nor are they representative of Shortcuts’ true power. 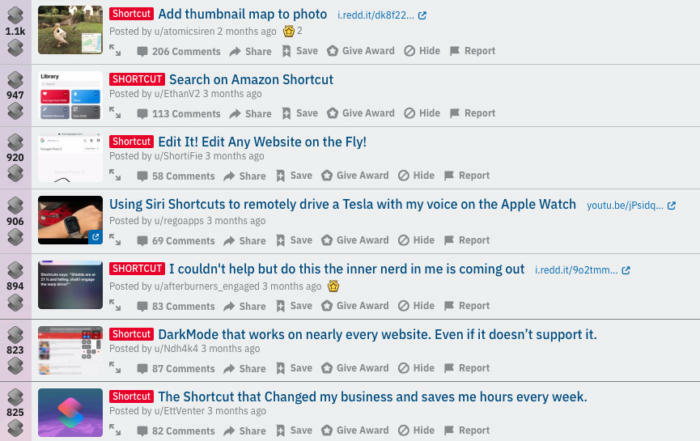 Instead, the best Shortcuts hang out in places like the Shortcuts subreddit or sites like Sharecut. Just glancing at the Shortcuts subreddit recently, I found a good shortcut for making better cover art for Apple Music playlists. Another one makes it easy to track movies and TV shows you plan to watch. That’s so cool. And this is but a taste! I know how to find this stuff, but my mom would never think to look for it. This feels very un-Apple, and even feels a little too internet 1.0, as though I’m rummaging through chaff on GeoCities and Angelfire to find anything of worth. In some cases, the best app for my needs won’t even be on the sites I’ve listed above. Having the best user-made Shortcuts listed in the app’s gallery would go a long way toward improving its quality and the general awareness of Shortcuts, particularly if Apple implements a vetting system as it does with apps. If the biggest problem facing Shortcuts is that few people know about it, the second-biggest is that it’s too dang hard to make a Shortcut. If we consider the accessibility of iOS and macOS to be their main appeal, then Shortcuts is one of the most un-Apple apps ever made. One reason why the Shortcuts made by Federico Viticci of MacStories are so popular is that he’s able to approach them with a knowledge of programming that’s beyond the reach of most ordinary iPhone users. Your grandma is never going to make those same Shortcuts. There’s a good chance she won’t even be able to make the simplest ones. So let us use Siri to make the simplest ones. The Reminders app proves Apple already has an idea of how this could work, as I can easily tell Siri to, say, “Remind me to call mom when I arrive at Safeway on Market Street.” I see no reason why we can’t make the simplest Shortcuts with the same method. But of course this brings us back to the common refrain that Siri needs to be more powerful. With Shortcuts, Apple is so close. Dig into the Shortcuts gallery, and you’ll immediately see a list of “Essential” Shortcuts that “everyone should have in their toolbox.” If they’re so essential, they should already be baked into Siri. In some cases, they are, as in the case of a Shortcut that gives you Apple Maps directions to the next event on your calendar, but there’s a whole range of simpler Shortcuts in Apple’s gallery that aren’t. For the love of Jobs, Apple, let us arrange our Shortcuts into folders. Apple categorizes its own Shortcuts under pretty headings, but once you start downloading your own, either from the app or from outside sites, it simply dumps them in one messy pile in your library. Your only real option for finding the Shortcut you need is a search bar at the top. Alternatively, you can rearrange them much you might rearrange apps on your home screen, but even in that case you can at least put some apps into folders. Here, you’re going to have to take the longcut. 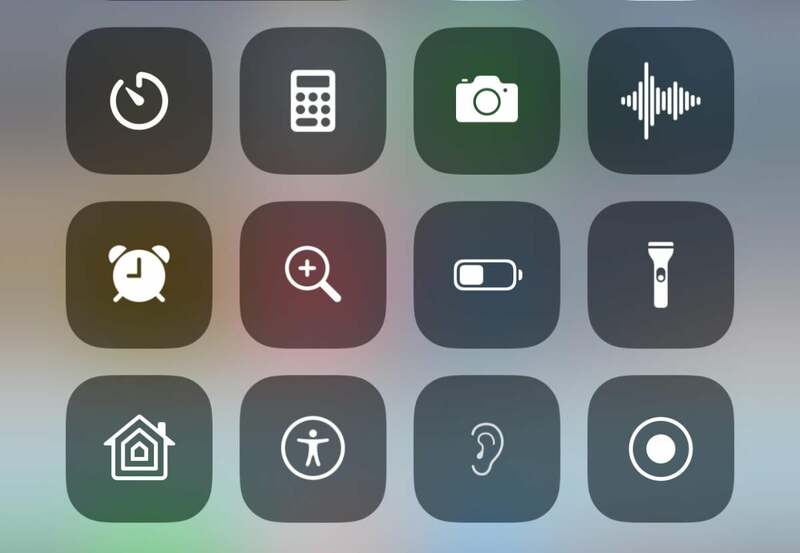 If Apple really wants to let the Shortcuts app live up to its name, it needs to allow us to put at least one or two of our most commonly used Shortcuts in the iPhone’s Control Center. 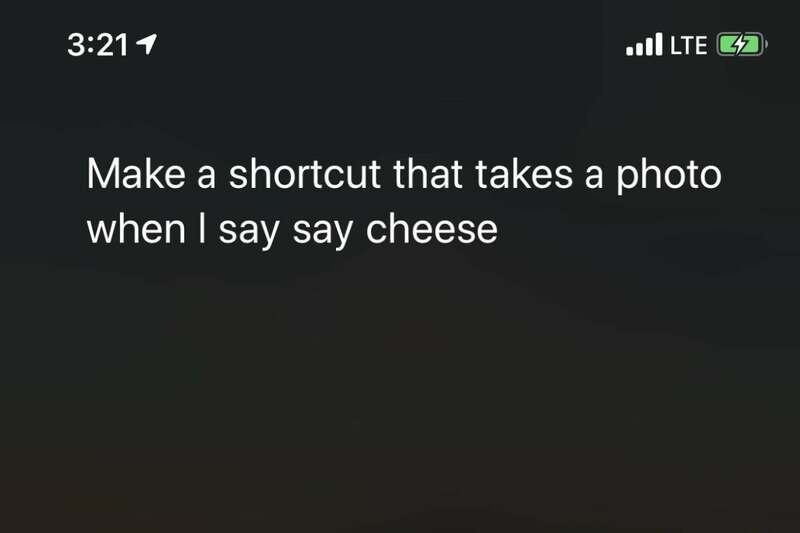 As it is, Shortcuts are a bit of a hassle to get to if you haven’t tied them to a Siri voice command. C’mon, there’s plenty of room there. In the most basic sense, you have to go to the app itself and select a Shortcut from the library. Alternatively, you can make an app icon for one of your favorites, and it’ll appear on your home screen much like any other app. A little more awkwardly, you can choose a Shortcut from the little menu bar you see in apps like Messages. But if you were able to quickly access your most commonly used Shortcuts with the Control Center? I don’t think it’s a stretch to say that Shortcuts would take off like wildfire. Let’s close this with one for actual Shortcut developers. Apple is holding back Shortcuts’ potential by preventing creators from making more Shortcuts that trigger by either time or location. For that matter, alarms should be able to trigger Shortcuts, such as one that immediately tells me how long my commute will be after it wakes me in the morning. That’s a simple example. Dig on forums related to Shortcuts, and you’ll find Shortcut creators who constantly feel thwarted by a trigger limitation that could otherwise turn a good Shortcut into a great one. That’s a lot like Shortcuts itself, isn’t it? It’s so, so close to being the app we initially imagined it would be, and I’m holding out hope that Apple considers this year’s app a "test run" of sorts for improvements to Shortcuts and Siri in general for iOS 13. Here’s to hoping we’ll see a lot of these improvements when WWDC rolls around later this year.